In this post. I'm going to show you 9 amazing natural ways, which can protect you from vampires (mosquitoes). It can be a real pestilence. One who lives in the kind of area, know its importance and can feel how annoying they can be. Their bite can be infuriating and will soon leave you ....with itchy sores all over the hands, feet where they taste you. They also the reason of very dreadful disease such as dengue , malaria etc. These diseases are spread almost exclusively by mosquitoes. And we don't know, the mosquito flying around carrying these diseases or not. I'm going to tell you a number of ways through which you can prevent these mosquitoes. You can use sprays and coils to kill these mini vampires but they are really toxic. So my suggestion isn't using these chemicals. They are really harmful at that instance we don't feel anything but later these chemicals can cause many problems. If you want to use them. Use with great care. You can use zappers which are really not toxic but not effective too. At the end of the day , mosquitoes require long term solutions like (removal of stagnant water pools)..... where they breed and lay eggs. Thus look some natural ways instead of chemicals for a mosquito infestation. A unique and natural way to... control mosquitoes are a few herbs and plants..... that act as mosquito repellants. Fore some reason mosquitoes cannot bear these plants. And if your home has these plants growing your are not likely to get many mosquitoes around your home. You can grow this plant in your home to control mosquitoes. Basil emits.. its aroma , so you don't have to crush its leaves for it. But to keep mosquitoes from your body rub a small amount of crushed basil leaves.... on your skin. It has many varieties, all of them are very helpful. But it is even good to use lemon basil cinnamon and ( Peruvian basil ) as they have the strongest fragrance. It is very valuable of its flowers and.. its fragrance, they make excellent mosquito repellent too. These plants are comparably easy to grow because they require less care. in order to make a chemical free solution just mix its ( lavender) oil with water and assign directly ...on your skin.... To control the mosquitoes keep the lavender plant pots where the seating area of your patio is,backyard and garden. You can ensure yourself of euphoric evening. These plants also very help full in preventing mosquitoes, these plants contain citronella components in large amounts. it contains citronella that is very popularly comercially and commercial mosquito repellent and there is up to (38% citronella content ) in some varieties of... Lemon balm. you can grow them in your garden as they are very helpful and allow them to proliferate ,leaving little room for.. mosquitoes ....to thrive. You can also rub they're crushed leaves on your skin. It is an herb that is often used in culinary efforts to great effect. These plants have oil that is unbearable to mosquitoes and few pots of rosemary can easily protect you from mosquitoes.they usually thrive in a warm climate, so in winter you have to take them in for work well against mosquitoes. 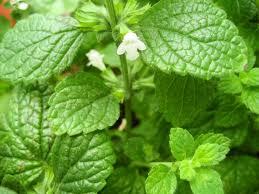 They also have the great ability to.... repel mosquitoes... as a member of the( mint family ). besides this they have an... (eccentric choice ) for cat lovers... due to its ability ..to put our (feline pets in a euphoric state ). They are very beautiful looking plants but they don't smell that great. but not bad too. they have a powerful mosquito deterrent as well as a deterrent for other pets and snakes. You can grow some in your garden to keep.... garden pests away. Well as the name says it all, these plants found great popularity in keeping mosquitoes far far away. They have some positive reviews and little negative views too. These are also very helpful and well know of repelling mosquitoes. These plants grow up to 6 feet tall in tropical climate. An oil that commonly helps combat inf=digestion and nausea . This is also very helpful for mosquito deterring. Additionally it helps deter pesky mice and other insects too. It also grows nicely in beds so you can pick some leaves foe your green tea. Post by Hamzah Shahid .